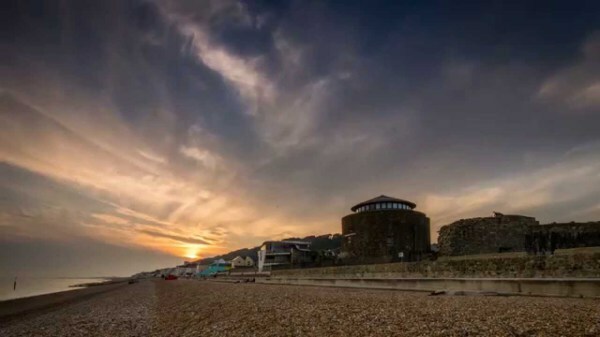 The Royal Norfolk Hotel is an independently owned family run hotel in the village of Sandgate, Kent. Your hosts Donald and Georgia look forward to welcoming you to our hidden oasis, in the Garden of England. At the heart of the hotel is Gee's Bar a family friendly spot. Offering fresh, quality home-cooked food served until 8pm Monday to Saturday and until 6pm on Sundays. With a selection of premium draught lagers, wines and sprits. 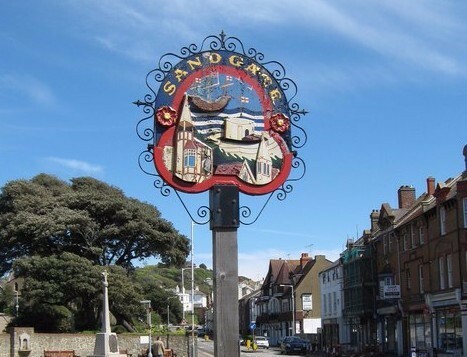 A a popular pool table and regular events including Open Mic, pool competitions, a pub quiz and bingo nights, all of which add to the character of Gee's Bar. Our Sun Terrace has a retractable roof so you may enjoy the glorious coastal sunshine or shelter from the wind and rain. 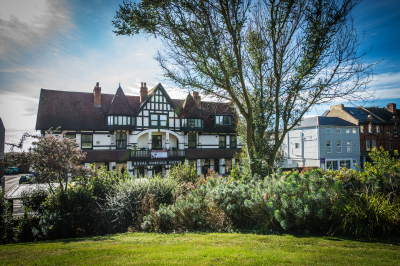 Records of the Royal Norfolk Hotel go back to the beginning of the 19th century when a weatherboarded Inn known as The Ship stood on the site. In 1805 the landlord, Edward Hopper, was fined 5 shillings for having four potts short of measure. Thankfully today you won't be served any short measures in the hotel. In 1825 there was a fight in the Hotel in which Thomas Page received a fatal stab wound. John Burton was convicted of his manslaughter and died himself soon afterwards. Before his death, however Thomas Page confessed that it had been his own fault and that he forgave John Burton. Following the unfortunate deaths, the inn gained a reputation for ghostly and strange happenings, and was even left empty for considerable periods. It was only once the building was completely pulled down in 1901 and the Hotel rebuilt in the guise it stands today that the paranormal events came to an end. The Royal Norfolk Hotel took its current name after an extended stay of the then Duchess of Norfolk and her young son in the late 19th century. Arrangements for her stay were rather hurried after the proprietor of the nearby Royal Pavilion hotel instructed the landlord of the Ship to "clear out his guests to make room for the Duchess" as his hotel was full. Understandably, the management were reluctant to get rid of their regular customers, and it was only after some last minute negotiation that the Duchess came to stay. The Duchess of Norfolk is not the only grand person to have stayed the Royal Norfolk Hotel. Queen Victoria herself reputedly stopped at the hotel.